InsightCAE uses a lot of third-party software for various tasks. If you do not need all the features, some of them can be disabled and the requirement list becomes shorter. Below is a list of the required third-party packages. If you use an up-to-date Linux distribution, it is not a problem to fulfill the general requirements. You can simply install them through the package manager. Most functions of InsightCAE are currently about flow simulation with OpenFOAM. There are various versions of OpenFOAM around, all with a slightly different API. InsightCAE supports different versions and forks of OpenFOAM which may even be installed side-by-side. The CAD module is currently compatible only with OpenCASCADE 7.2 and DXFlib 3.7. Ubuntu packages are provided through our repository. The following list contains the software packages, which are required to build and use InsightCAE. The list gives the program name and a link to its web site. In brackets, the tested version and the Ubuntu package name is given. Some environment variables and paths are required. A script is provided for setting these. Either add a "source" statement to your ~/.bashrc (or to /etc/profile, if you want a system-wide installation). The first line is only required, if you need to compile dependencies yourself. 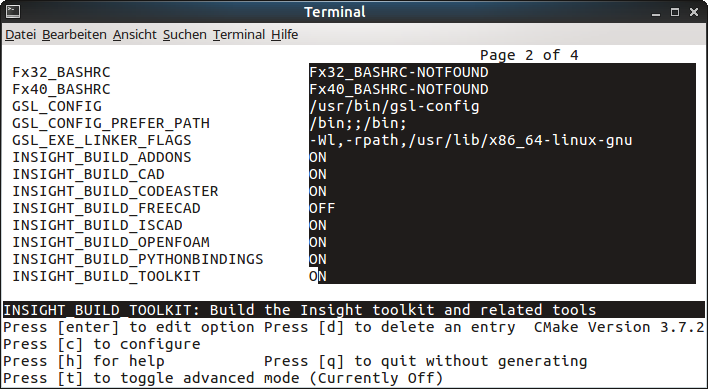 This is already required during build, so activate the modifications by opening a new terminal. The second script ("insight_setenv.sh") is created during build. 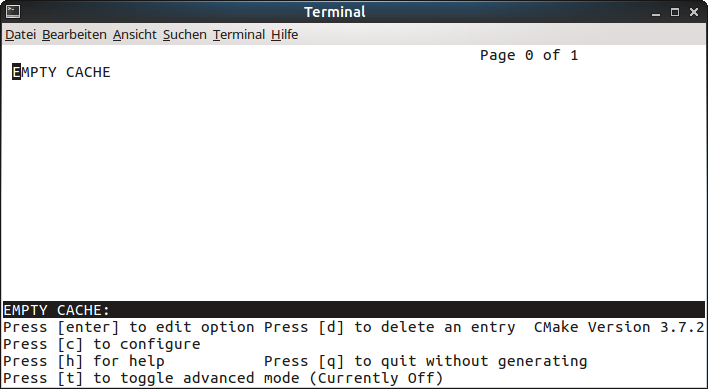 So as long as the build process is not completed, you will see an error message when opening the terminal. You may ignore it for now. Then build the required packages. For each package, there is a script named "build_XXX.sh". In the simplest case, it is sufficient to execute it. In case the build configuration needs to be changed, the script can serve as a starting point. The sources of InsightCAE are hosted in a git repository at Github. For configuring and executing the build process, the software CMake is used. During configuration, CMake will search for add-ons in the folder "src/addons" in the InsightCAE source tree. If you want to include any add-on, place its code in this directory now. E.g. if you want to include the add-on "inflow-generator", move (or clone) the directory "inflow-generator" which contains the add-on's code, into the folder "src/addons". INSIGHT_BUILD_WORKBENCH : switches building of the workflow GUI on/off. Qt-4 is required, if set to on. The other variables allow to correct the detected paths to the several dependency packages. You may edit them as needed. Once all variables are set the configuration steps does not yield any errors, execute the "generate" step by typing "g". Once this is done, you may run make as described above.